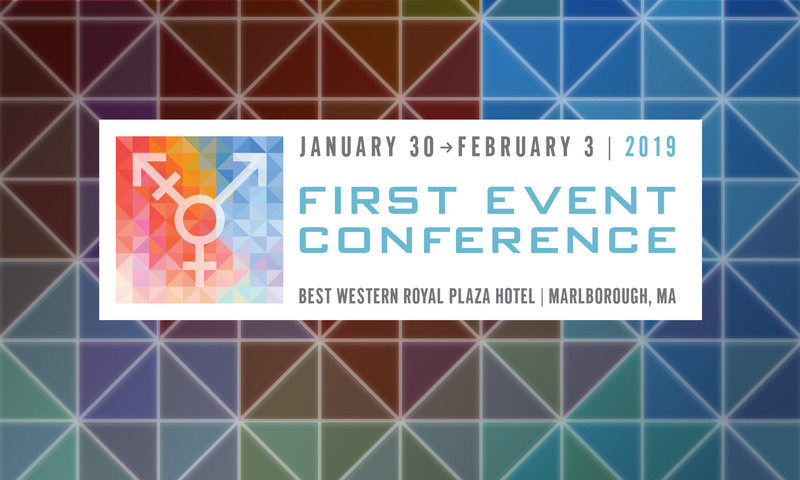 Trans Club of New England’s First Event, being held January 30th to February 3rd, 2019 is an excellent transgender conference geared to every point in your journey. This year we will hold the conference at the Best Western Royal Plaza Hotel in Marlborough MA. This Tuesday, January 29th is the last day to reserve your spot at First Event before prices increase 25%. We have a record number of workshops this year – OVER 150! New programming by and for transgender people of color. The First Event Ball, presented by New England Mother Legendary Athena West, 11pm-2am Saturday night. This is NOT to be missed. Want to know what to expect? Check out Athena’s World Aids Ball or watch the new FX show Pose. A transgender wellness track on Saturday, with free HIV/HCV/STI testing to anyone who would like to participate and a full day of workshops dedicated to our physical, emotional, and mental health. The Closet is a First Event exclusive popup thrift boutique. Sunday workshops and vendors. Our conference is just getting too big to wrap up Sunday morning, so we have extended more programming into Sunday. Youth and family track is moved to Sunday (see all that is happening here). In addition to the dedicated day on Sunday, youth and families are encouraged to attend workshops and events throughout the conference. More mingling at the John Warrener Memorial Fashion Show. The fashion show isn’t just about our models – it’s a chance for all of us to see and be seen. We’ve switched to a social dinner reception format to allow us to eat and mingle together. The workshop schedule is up and you can see it all here: First Event Workshop Schedule. For pricing and packages please click to our registration page. You can only save 25% IF you register by Tuesday! Need to stretch your budget? We try our best to accommodate all who wish to attend First Event regardless of ability to pay click to the Ken Garber Memorial Scholarship program. Next PostNext Free STI/HIV/HCV Testing Today!